Rich in color and realistic looking. 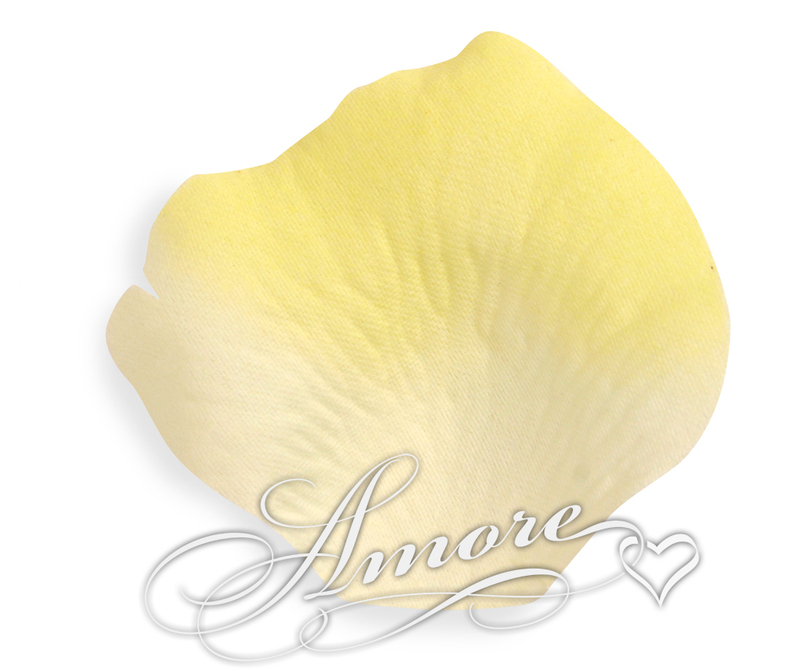 This petal goes from lemonade yellow to a deep true lemon yellow. What a lovely accent! Perfect for a social occasion or an extravagant bath. High quality silk rose petals. Each bag contain 200 wedding silk rose petals.NO small or sheer petals. Petal size is 2 inch H x 2 1/4 inch W.